Darrell Hardidge has had familiar experiences and exposure, but with his own unique approach and mindset. He’s spent time running business, consulting on client experience, building customer loyalty and working for brands and businesses on their optimal strategy. He particularly engaged with the experience of pulling apart and re-shaping businesses to connect with their customers and drive based around a key principle: client appreciation. Taking the concept even further, what client appreciation means when compared to customer satisfaction. To answer this question and build on this concept he founded Saguity, a consultancy that benchmarks customer experience and loyalty using a robust, scientific approach. They have conducted hundreds of interviews – all done over the phone - to gather relevant and applicable insights on how to build customer appreciation. This data set has allowed Saguity to assist their range of clients to adjust their strategy for client journey mapping and gain clarity and certainty about the cause/effect relations with their customer base. Their work has particular relevance in Australia, a country admittedly not renowned for our levels of customer service and satisfaction. Saguity recognises that their clients often know why they’re working well, but don’t have a similar understanding when they’re not. Darrell shares his insights on what customer service and satisfaction mean to him, particularly the metrics used to quantify satisfaction and the assumptions surrounding this measurement. 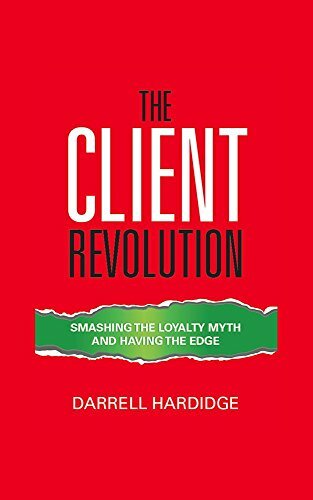 He details the methods and mechanisms some of his key clients utilise to build their brand and refine their image within the bounds of client appreciation, and what it has done for them on so many levels. Darrell also delves into the effect that disruption will have on client appreciation, and how Saguity aims to add value in the human experience elements across all touchpoints in businesses. 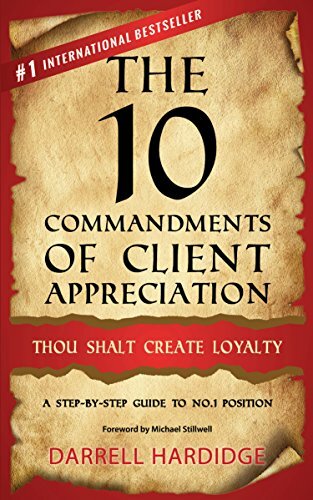 On top of this, from a client appreciation side, Darrell believes that true loyalty has nothing to do with the price of the offering, but everything to do with the experience. Again drawing on his experience with a diverse set of clients, Darrell feels that the ability for a stakeholder to access management is a key indicator of customer proximity, connectedness and ultimately appreciation. Find them both on Amazon! To learn all about what Saguity can do for client appreciation in your business, as well as their events, workshops and speaking engagements head to saguity.com.